Flying home - Getting where? Hey, I can see my house! 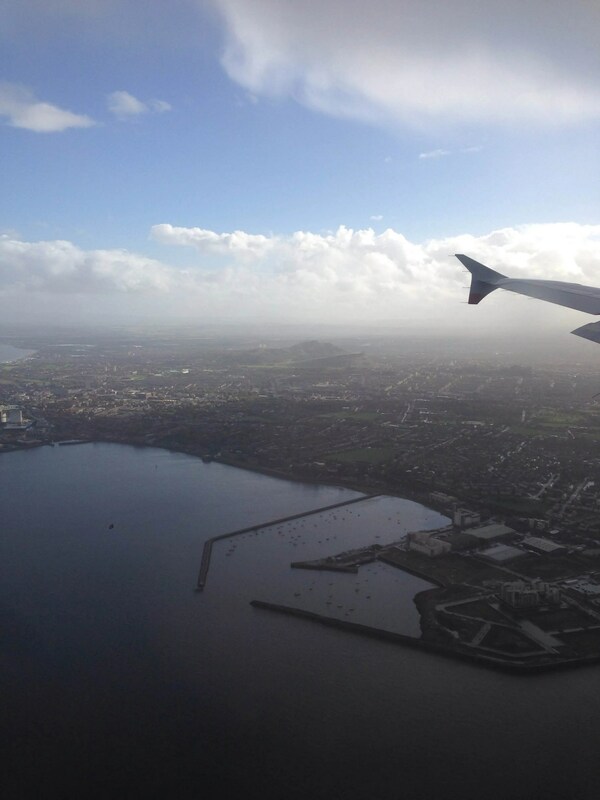 When you fly into Edinburgh, the plane always comes in the same way. From the south, you pop out of the clouds somewhere over Dunbar and turn left over the Forth, slingshotting around Bass Rock like it’s some kind of waterfowl-covered moon. You then continue to drop, more or less parallel to shore from North Berwick, sloping in over the coast just before Cramond and skimming over the rail line just before touching down. This sometimes makes for a bumpy ride, as there is often WEATHER over the Forth. The time I came in from Orkney in a very small plane, I was pretty sure we were going to be tossed unceremoniously from the sky, and had visions of my unsecured backpack conking me out before I knew what was happening as it flew off the seat adjacent (the flight attendants get very laid back about luggage the smaller and more rural the flight). To top it off, there’s this fantastic truth when you come ambling out of the airport, which I also love fiercely and look forward to every time. It’s great to see when you’re at the start of an adventure too. I seriously hope this ad campaign runs forever. 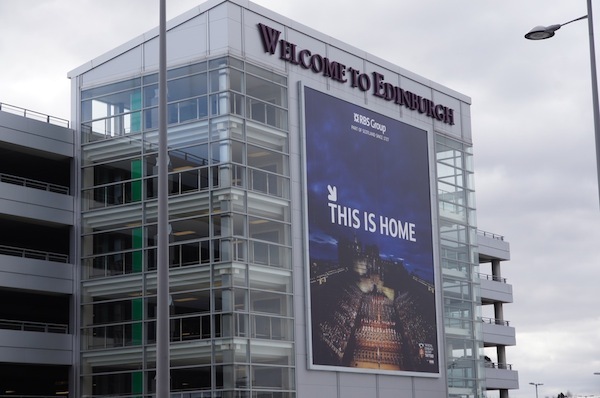 “When you fly into Edinburgh, the plane always comes in the same way. From the south”. I’m afraid that’s not true, sometime the planes land from the south and take off to the north and sometimes they switch, it depends on the wind direction I think. Ah well John, I’ve never taken off or landed in a different direction in the 8+ years I’ve been flying in and out, but I believe you! Correction accepted. Bad luck if you come in another way though.